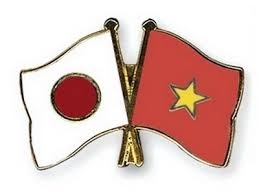 Japan and Vietnam pledged to work together to expand trade and promote investment by Japanese companies’ in the Southeast Asian nation on Saturday in Hanoi at the first meeting held by a special committee formed to boost bilateral economic cooperation. “By using this committee as a springboard, we want to advance economic relations between Japan and Vietnam to a new stage,” said industry minister Motoo Hayashi who attended the inaugural Joint Committee between Japan and Vietnam on Cooperation in Industry, Trade and Energy, which the two nation’s agreed to in July last year to establish. Hayashi became the first Japanese Cabinet minister to visit Vietnam after the country’s ruling Communist Party unveiled its new leadership at the 12th National Congress in January. Hayashi also on Saturday met with Vietnamese Deputy Prime Minister Nguyen Xuan Phuc, who is set to become prime minister, and exchanged opinions about the strengthening of the two countries’ relations based on their strategic partnership. Once the Trans-Pacific Partnership free trade agreement enters into force, restrictions on foreign investment in Vietnam’s retail industry will be eased. Japan and Vietnam are among the 12 nations that signed the TPP deal earlier this year. Hayashi plans to visit a Japanese-affiliated convenience store in Ho Chi Minh City on Sunday. He said he hopes to find out what are the challenges Japanese companies face in trying to expand their business operations in the country.